Estate Cartridge High Velocity Hunting Loads. Delivering consistency and performance, time and time again. Estate Cartridge combines quality components and modern technology into a traditional hunting load to provide consistent, proven results. Extra-hard shot and brass-plated metal head for game-stopping punch. Shot Size: 6 or 7 1/2. State Shot Size, as available in the Shopping Cart. Order Now! 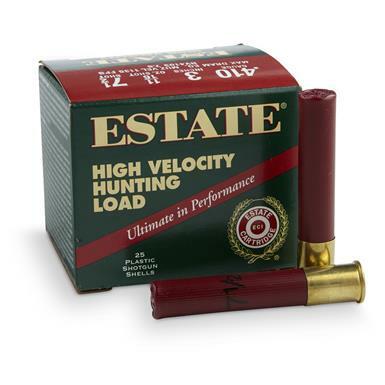 Estate Cartridge High Velocity Hunting Loads .410 Gauge 3 11/16 ozs. 25 rounds is rated 4.7 out of 5 by 10. Rated 5 out of 5 by DARREN from Good stuff! Rated 5 out of 5 by STEPHEN C from A good load for varmit control. Rated 5 out of 5 by MARK from Excellent. Estate always makes superior ammo for a wide range of needs. Rated 5 out of 5 by RYAN from Nice ammo. Great price. 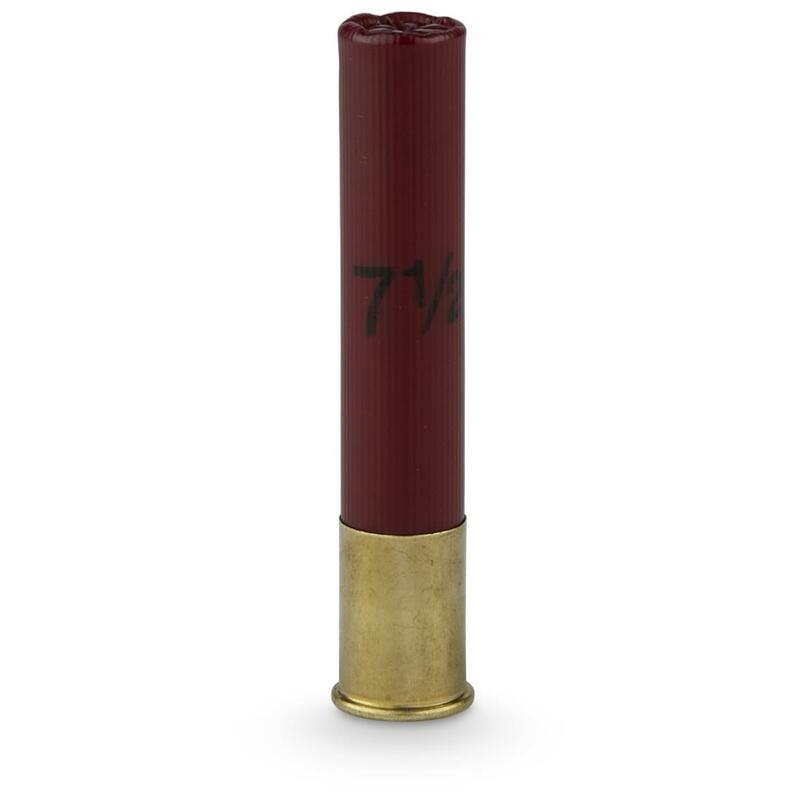 Remington Express Long Range Loads, 12 Gauge, 2.75"
Enjoy the classics? Get Federal®'s most proven load.